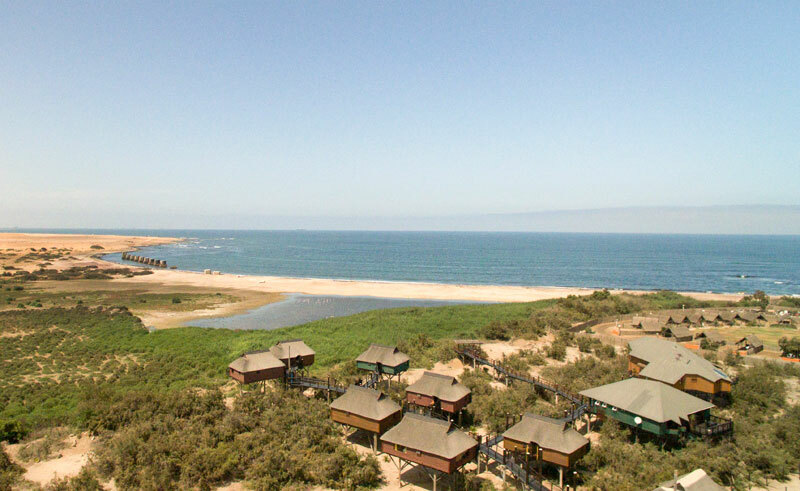 This unique characterful accommodation features cabins built on stilts boasting spectacular views of Atlantic Ocean, the sand dunes of the Namib Desert or the lagoon with its rich birdlife, whilst still being a short walk from all the shops and restaurants in Swakopmund. 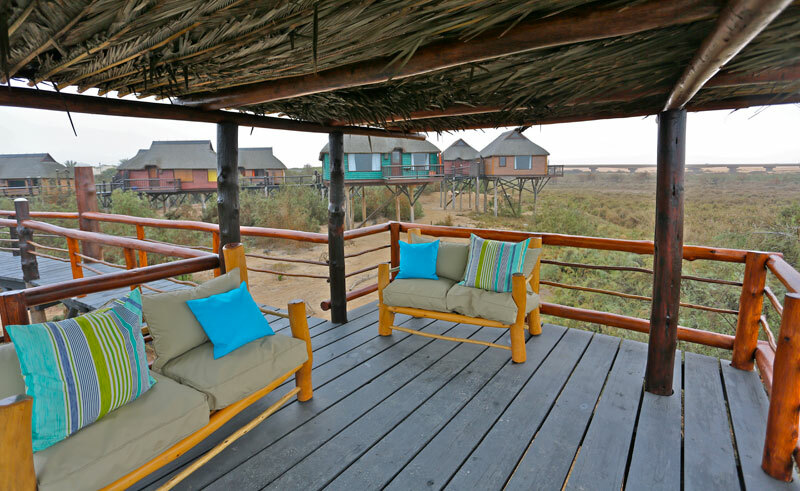 There are nine spacious wooden cabins built on stilts, each with a balcony, where you can sit and admire the peaceful surroundings. 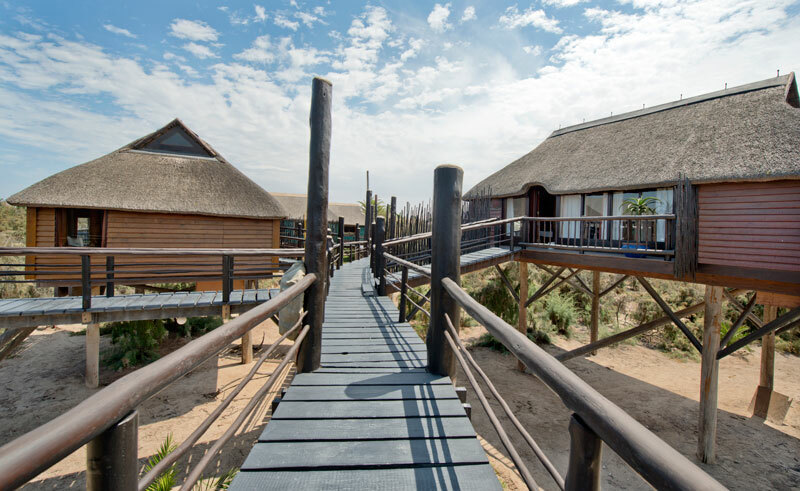 Each private cabin is connected to the main cabin by means of wooden walkways. 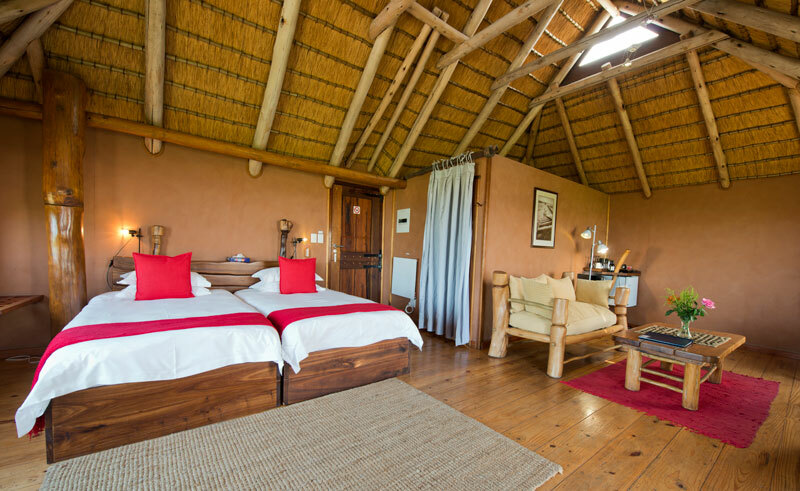 All cabins include a mini-bar, tea and coffee making facilities and a fan and heater.